Destroyer is a 2018 Thriller Crime Drama Action movie directed by . It stars Nicole Kidman, Sebastian Stan, Tatiana Maslany, among others. 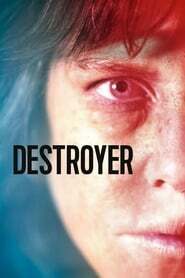 Destroyer is currently rated 5.7 stars on the ReelBugs scale. "There's nothing to lose when you've already lost everything"
Music by "Godspeed you ! black emperor"
Sebastian's eyes with the hood on. did something to me. That's finally clear who's going to grab the Oscar this year! NICOLE IS SIMPLY THE BEST! Wow. Bucky decided to go full ghetto. Nicole Kidmans transformation kind of reminds me of Charlize Theron in Monster. This movie had the best ending...simply brilliant! "I'm MAD, I'm still MAD, it's burned a circuit in my BRAIN"
A movie made by a female director, starring one of the greatest actresses of all time plus Sebastian Stan? God. I'm ready!! Can't wait for December! She must win her second Oscar or Glenn Close must win her FIRST f*cking Oscar for The Wife ! I'll trust any movie that picks a song from Yanqui U.X.O. She's gonna win another oscar..
For some reason, watching Kidman here has me thinking, "What if the Joker were a woman?" Nicole kidman plays Carol from the walking dead, in Destroyer. Stop telling me gorgeous, fantastic bla bla bla. Let the trailer speak for it self. Best narrative feature of the year.